Our newest QuickBooks Online ProAdvisor! The New Business Directions team is pleased to announce our newest QuickBooks® Online ProAdvisor! Sondra Love has successfully completed the requirements to earn her QuickBooks® Online 2016 certification. This training will allow Sondra to provide assistance to businesses setting up, navigating and troubleshooting their QuickBooks® Online software. New Business Directions, LLC specializes in QuickBooks® consulting and training services, coaching small business owners, and providing innovative business solutions. To learn more about New Business Directions, LLC and QuickBooks®, please call (603) 356-2914 to schedule an appointment or visit our website. Rhonda Rosand, CPA has successfully completed the requirements to earn her designation for the twelfth consecutive year as a Certified QuickBooks® ProAdvisor. 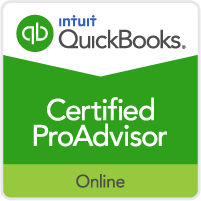 Certified QuickBooks® ProAdvisors are CPA’s, accountants and other professionals who have completed comprehensive QuickBooks® training courses and met the annual testing requirements in order to become certified as experts in QuickBooks®. The courses are designed for accounting professionals and consultants who have a solid understanding of accounting principles. Rhonda Rosand, CPA is the owner of New Business Directions, LLC.She specializes in QuickBooks® consulting and training services, coaching small business owners and providing innovative business solutions. To learn more about New Business Directions, LLC and QuickBooks®, or to schedule an appointment, please call (603)356-2914, email rhonda@newbusinessdirections.com or visit the website at www.newbusinessdirections.com. We are pleased to announce that Wayne Kukuruza, Bookkeeper at New Business Directions has received his QuickBooks® Online Cloud ProAdvisor designation. This training will allow Wayne to provide further assistance to businesses setting up, navigating and troubleshooting their QuickBooks® Online accounts. Rhonda Rosand, CPA has been recognized as one of Intuit’s Top 100 ProAdvisors for the second year in a row! Intuit aims to identify leading ProAdvisors who leverage the ProAdvisor Program to better serve their clients, grow their own business, deliver great client service, and increase their knowledge and understanding of the Intuit ecosystem. The competition included thousands of Top Trainers, Top Friends of Intuit and the Top Intuit Reseller Partners as part of the overall program. The award ceremony will take place at the Scaling New Heights conference in New Orleans in June. New Business Directions specializes in QuickBooks® consulting and training services, coaching small business owners, and providing innovative business solutions. Intuit Field Service Management simplifies your business and gives you more control over your technicians, customers, cash flow and costs. 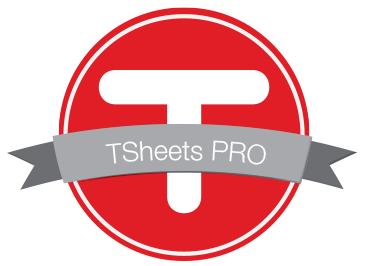 It eliminates paperwork from work orders to invoices – so you can get paid faster. Field Service Management is web-based software that integrates with QuickBooks® Pro, Premier and Enterprise to schedule Work Orders and dispatch Field Technicians via a Dashboard and Mobile devices. It integrates with Google Maps to locate job-sites and minimize travel time and allows for Mobile Billing and Payments. The Intuit Service Provider training courses are designed to enhance the consultants’ knowledge of the product for configuration, deployment, integration and training on Field Service Management. Rhonda Rosand, CPA is the owner of New Business Directions. She specializes in QuickBooks consulting and training services, coaching small business owners, and providing innovative business solutions. 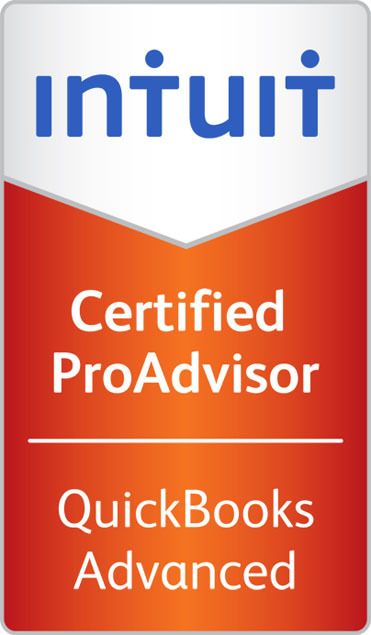 I’m honored to have just earned my QuickBooks Cloud ProAdvisor designation from Intuit. We are excited to continue our strong relationship with Intuit in the QuickBooks ProAdvisor program where we receive outstanding access to higher-level software support, multiple software products including third-party add-ons, and additional training and certification options that help us increase our proficiency in the Intuit QuickBooks product line. For you, my new certification means I’ve achieved a level of competence recognized by Intuit that demonstrates my knowledge of QuickBooks Online. With this knowledge, I will be able to answer your questions about QuickBooks Online, help you assess whether this product will better meet your business needs compared to other QuickBooks products, and provide you with productivity-boosting training filled with all the tips I’ve just learned. If you’re interested in finding out more about whether QuickBooks Online can better serve your business’s needs or anything about QuickBooks Online, then please reach out and give us a call. To learn more about New Business Directions and QuickBooks®, or to schedule an appointment, please call (603)356-2914, email rhonda@newbusinessdirections.com or visit the website at www.newbusinessdirections.com. Kristen has earned her designation as a QuickBooks Certified User on November 4, 2013. Kristen has attended extensive training courses on QuickBooks and has been with New Business Directions since December of 2011. In addition to being a Level One Bookkeeper for New Business Directions, Kristen is also our in-house Marketing Coordinator, and has recently created a blog on our website which features helpful Tips and Tricks in QuickBooks. If you would like to submit a QuickBooks related topic to be covered in our blog, email Kristen at Kristenp@newbusinessdirections.com. At New Business directions we help small business owners streamline the process of making money. If you would like to create order out of chaos and improve your bottom line, call us at 603-356-2914 or visit our website at www.newbusinessdirections.com. Rhonda Rosand, CPA has successfully completed the necessary requirements to earn her designation as a Certified Enterprise Solutions® ProAdvisor. Enterprise Solutions offers more robust features that allow for increased control and security, more customizable features, and many inventory enhancements. The Enterprise Solutions certification allows Rhonda to provide a higher level of QuickBooks expertise to clients, by being able to support larger and growing businesses optimize their business operations. Rhonda can confidently offer consulting, installation, set up and training of Enterprise Solutions to current and prospective clients who are outgrowing QuickBooks Pro and Premier. This support is essential when addressing third-party integrations required by mid-size organizations with more complex business needs. Certified Enterprise Solutions ProAdvisors are CPA’s, accountants and other professionals who have completed comprehensive training courses and met the annual testing requirements in order to become certified as experts. Rhonda Rosand, CPA is the owner of New Business Directions. She specializes in QuickBooks® consulting and training services, coaching small business owners and providing innovative business solutions. We are pleased to announce that Kristen, our Office Manager at New Business Directions, has completed Leadership Mount Washington Valley: Community Connections, a program held by the North Conway Chamber of Commerce. Leadership MWV is a network for developing professionals which provides opportunities for professional development, mentorship for community involvement, and support for civic leadership. The program emphasizes collaborative opportunities to enhance quality of life in our community. Kristen (right) receives her certificate with Jac Cuddy of the MWV Economic Council, Janice Crawford of the MWV Chamber of Commerce, and Bill Zafirson of Northway Bank.. Photo courtesy of Lisa DuFault. Upon completion of this program, Kristen looks to gain further civic engagement while continuing to network with other professionals who wish to better serve our community. Kristen is the proud recipient of The Kiwanis Club Scholarship to attend the program. 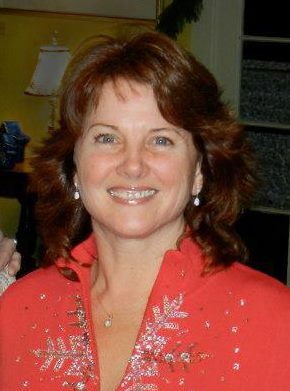 She would like to thank the MWV Kiwanis Club, as well as the many business professionals she interviewed during the program in order to better understand the many facets and connections within state and local government, education, healthcare, arts & culture, and non-profits in New Hampshire. The class of 2013 graduates are: Chelsey Andrea, Ailie Byers, Jessica Dolan, Missy Hill, Stephen Jones, Munsey Knox, Melody Nestor, Joy Noyes, Lisa Oaks, Vincent Osgood, Randy Perkins, Kristen Pobatschnig, Kacy Tillotson and Matt Trahan. Photo courtesy of Tom Eastman. For more information on Leadership MWV, please visit www.mwvcc.org. If you would like to ask Kristen about her experience with Leadership MWV, email her at kristenp@newbusinessdirections.com. Rhonda Rosand, CPA has successfully completed the requirements to earn her designation for the ninth consecutive year as a Certified QuickBooks® ProAdvisor.